Plastics Extrusion is the process of melting raw plastic material to create a long, continuous shape which may be used for piping, tubing, weather stripping, and more. 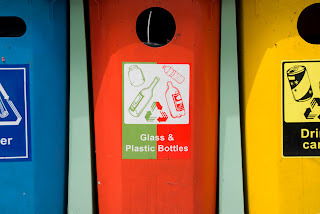 Plastics Extrusion can also be used in the recycling process where the plastic material to be recycled is melted into long strips, cooled, and then shaped for new materials or cut into resins and packaged. The cooling stage of Plastic Extrusion can be made more streamlined and efficient using Nitrogen gas as a cooling agent. Nitrogen - a clean, dry, inert gas - has the ability to cool very quickly and set the desired shape for the plastic being treated. It is a safe and effective method to apply to the Plastics Extrusion process. See more info on Plastic Extrusion Nitrogen Gas Purge. When using Nitrogen gas during Plastic Extrusion, consider investing in a Nitrogen Generator to ensure a continuous supply of Nitrogen on-demand and on-site as needed. A Nitrogen Generator produces high purity N2 gas in a more safe and convenient package compared with high pressure N2 gas cylinders. You'll never run out of Nitrogen again with a Nitrogen Generator plus it yields a high Return on Investment (ROI) especially compared to cylinders supplied through a gas company contract.